Tracksounds: Soundcast Stereo (Ep. 18) Do Songs + Score Soundtracks Still Work, Today? Soundcast Stereo (Ep. 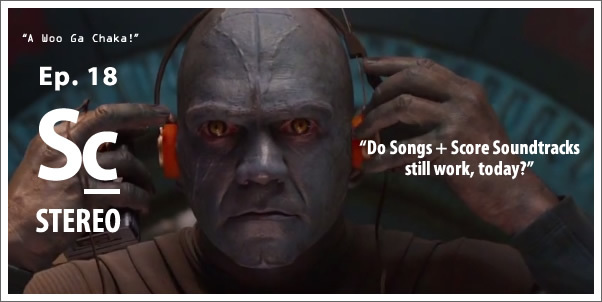 18) Do Songs + Score Soundtracks Still Work, Today? Episode 18 - Do Songs + Score Soundtracks Still Work, Today? Kristen Romanelli (Film Score Monthly Online) is back to, along with Christopher Coleman, examine the quasi-resurgence of the era-specific-song inclusions in big-budget-blockbuster-film soundtracks. Sometimes it works and sometimes it doesn't and they bat around examples of both. Lastly, they make a prediction on the future of such soundtracks in the near future. 32:50 - Predicting the future ... and wrap up.